You've Finished Your Book...Now What? You have just spent months, if not years, perfecting your manuscript, and now you aren't sure what to do next. Regardless of if you are self-publishing or shopping around for a literary agent and a traditional publisher, there are a few key things you should put at the top of your to-do list. Like any other new enterprise, you need to build brand recognition. Your book may be the greatest thoughts ever put to paper, but if no one knows it exists then they can't enjoy it. Even if you plan on seeking out a traditional publisher, an author's page shows your dedication to your work and the promotion of your book. Luckily, you don't have to be a computer wiz to create a professional looking website these days. 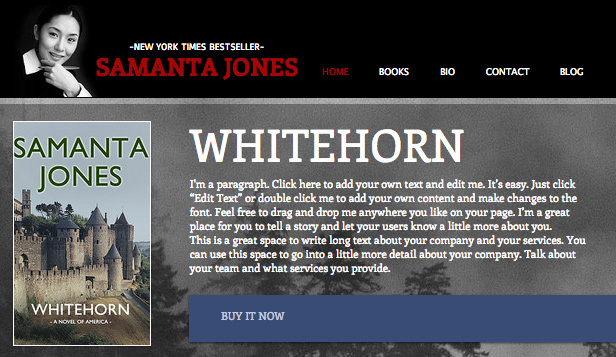 I like Wix.com for author sites. You can make a site for free and they provide easy to use templates perfect for showcasing your books. The goal of using Social media is to build a following of readers and interact with other authors, publishers, and helpful resources. You do this by a combination of self-promotion of your book and author website, interacting with readers and writers on a genuinely personal level, and sharing other relevant content. Social Media can be overwhelming if it isn't something you are familiar with or if you have never used it in a professional capacity. The biggies to sign up for today are Twitter, Instagram, and Facebook. If you feel ambitious, you can explore Linkedin, Pinterest, and Snapchat. There are a lot of different programs and sites out there now designed to help you grow your platform and audience. I suggest crowdfireapp.com and hootsuite.com but there really are so many that it is hard to go wrong! Even if you are working on traditional publishing, having artwork for your book helps draw your audience. The cover art is the first interaction readers and potential publishers have with your book. Quality art is great for use on social media and your website. It helps you look established and professional and it is an absolute necessity if you are self-publishing. A Query letter is your introduction to literary agents. Most publishing houses do not accept unsolicited manuscripts, so your first step is to get representation with a literary agent. Your query letter should be no longer than a page with a brief synopsis of your book, the target audience, genre, word count and a little about you. Remember, you are trying to get the agent interested in reading your book, so it should be well written and engaging. Research agents that have worked with authors within your genre and send it out to a handful of the best ones. Always follow their submission guidelines perfectly. They will not want to read the rest of your manuscript if you waste their time by not following directions. This one is by no means necessary, but I wanted to throw it on here as an optional tool to explore. There are a few different types of companies out there that will promote your book. The fees and results range wildly. There are lots of companies that will tweet your book or advertise on Facebook for you such as wizzbuzzbooks.com. When researching these options, look at their social media. They may have thousands of followers, but how often do those followers interact with their posts? Are their posts re-tweeted, liked, shared etc? If not, then you want to keep looking. Other agencies are more full services and may even run your social media for you. These are more like traditional ad agencies and their price is reflective of that. Regardless of your progress in writing or publishing your book, it is never too late to get started with promoting and netwroking! If you are ready to get started with a ghostwriter, visit my CONTACT page and reach out to me today. Follow me on Facebook, Twitter, Pinterest, and Linkedin for more tips and tricks for writing and publishing.